Get that Major League look with our 18" Personalized Baseball Bat Trophy. 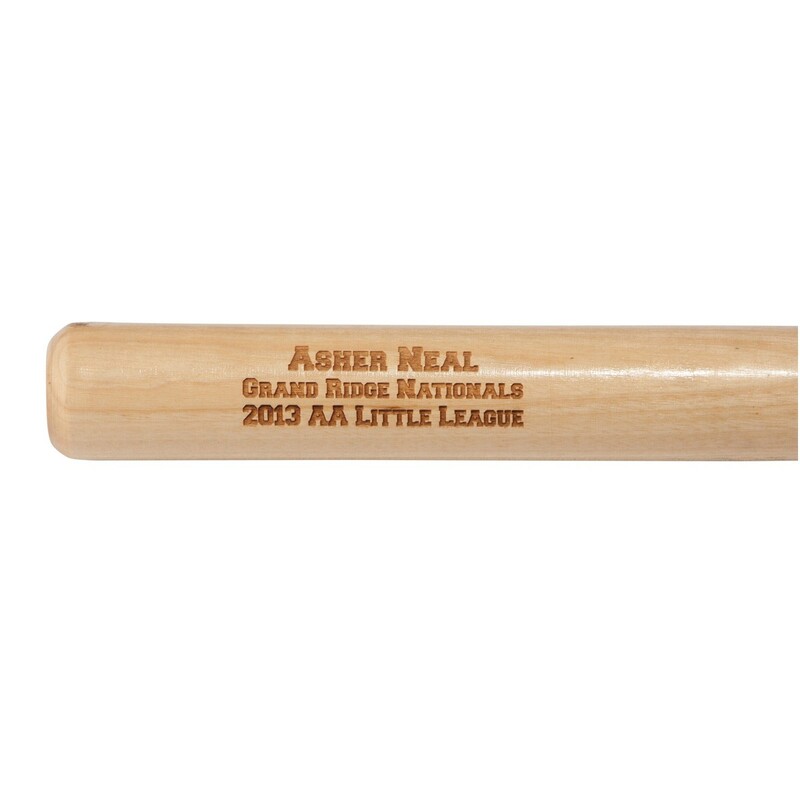 Made in the USA, this small baseball bat award is a great alternative to a traditional baseball or softball trophy, a cherished keepsake that will be enjoyed for years to come. 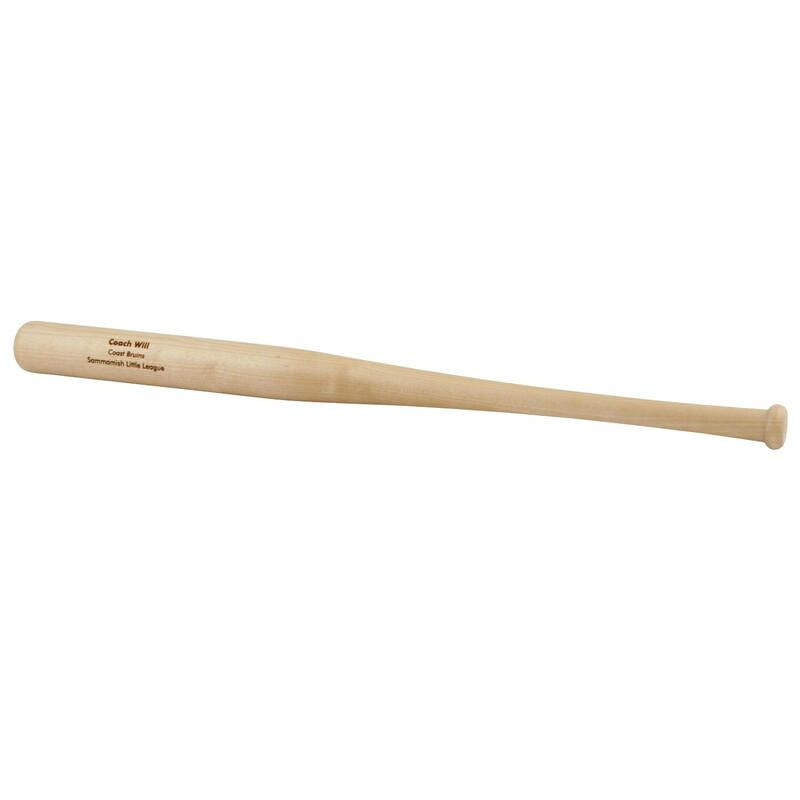 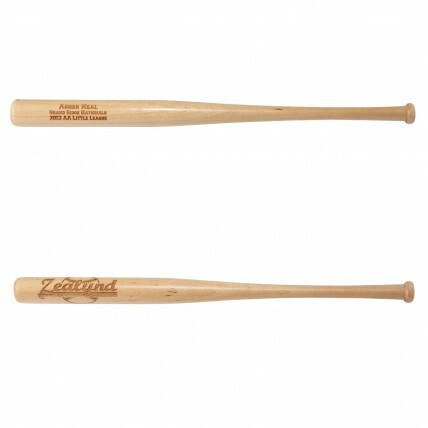 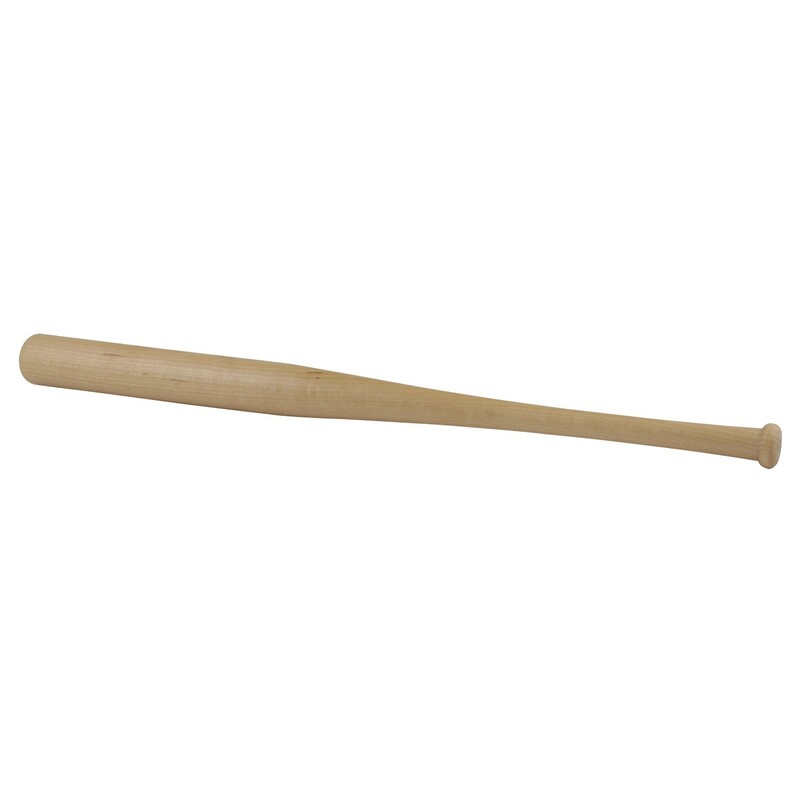 The price includes 3 lines of laser engraved text directly into the wood of the baseball bat. Your favorite baseball, softball, or T-ball player will love this popular award!